The exponential advancement of the technology compels the business owners to look for the best techniques that are incorporated with the salient features in order to provide a freedom to implement the unique ideas. Web to print technique has become a primary need across the world to design products without compromising with the quality. 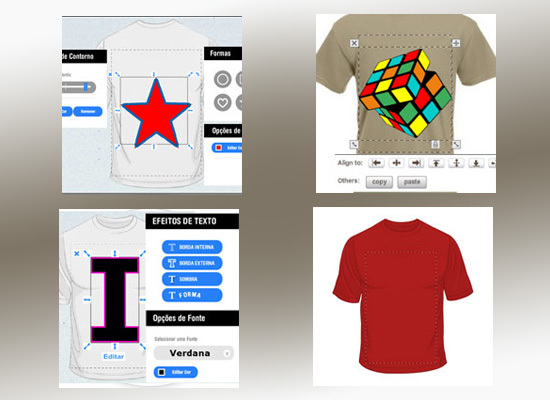 No-refresh, the best web to print solution provider, has catered a myriad of tools to design the different kinds of products such as ball, hat, instrument, t-shirt, stickers, etc. It’s a time to expand online printing services as well as e-commerce store by integrating with our efficient web to print design tool that enables to explore art of creativity through innumerable features & functionalities. It is easy now to maintain the quality of product, while accepting the text and images to add in to design. Always keep in mind to render quality services, we cater easy to use, flexible, secure and qualitative online designing tools. That’s why, we are positioned at the number one in the list of product designer tool providers. With our amazing online web-to-print design, every printer service provider can quickly fulfill the needs of their customers. We provide fast and speedy web-to-print tool and ensure for 100% quality-rich and accurate design. To having a great user experience, this tool is extremely powerful. Quality is a key that helps make brand and maintain reputation of your business across the globe. Well! We all know that a quality product never comes at cheap cost, but not to be too expansive as well. Our product designer is for all from small to large businesses and available at very competitive rates without any hidden charges. Take a complete control on colors, fonts, artwork, clip-art, size of design. This online product design tool allow you to easily control on entire backend and front-end. Traditionally, it was tough task to contact with printer’s company and give them the details or idea regarding any particular design, but now it is easy to contact printer’s web to print stores and look for the latest design. 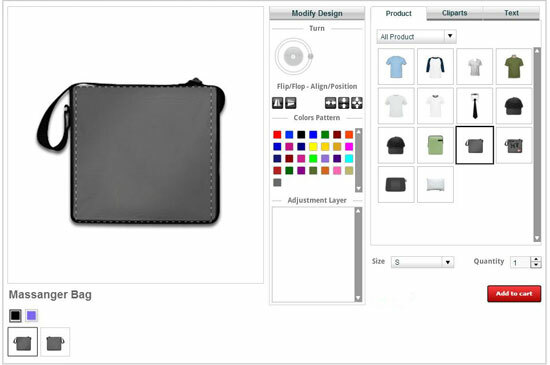 However, traditional print design companies do not offer a catalog of design to select the best one from them, but now web-to-print service presents an online catalog of designs, which is categorized in several kinds of designs to make search easy and comfortable and helps choose that best fits for your custom needs. Web to print is pretty easy, fast, affordable and comfortable. This is all the power precision of our online designing tool that provides efficient custom design and shopping features at very reasonable rates. 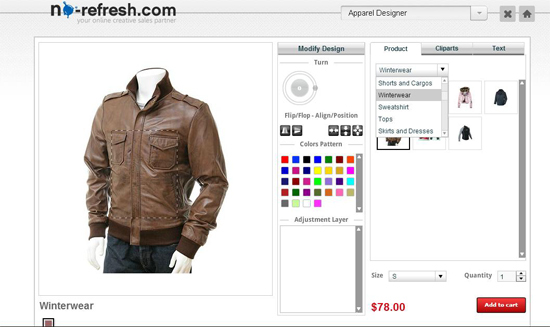 Additionally, it supports various shopping carts like Big Commerce, OpenCart, Custom, Zen Cart, VirtueMart, Magento, etc. and CMS such as WordPress, Drupal and Joomla. No-refresh provides complete support to install and implement tool over server. In fact, all our designing software are iPad compatible to explore creativity, visibility and increase sales ratio of our client’s (printer’s company). See the demo session of our web to print services in order to trust on our words. To know more about technical strength and features, check out the portfolio. 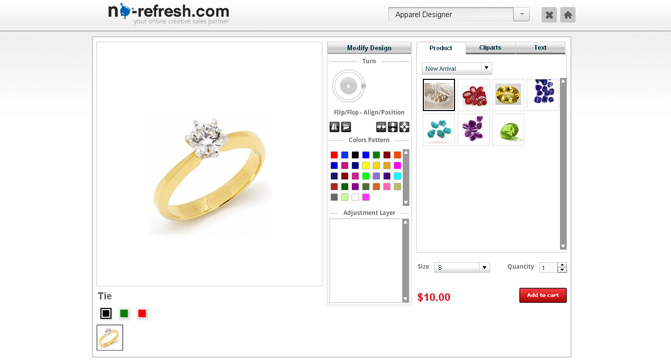 The entire approach of “No-refresh” is to provide a different jewellery design software to work perfectly …. There is a high demand of online product designer tools across the world that are generally being presented by the online merchants …. 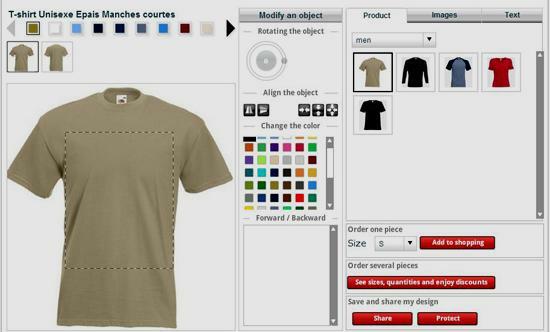 Different T-shirt designer software may have different functionalities. So, it is advisable to use…. At present, there are several online design tools available in the market that…. Web to print software has become an important topic for discussion these days…. T-shirts are a well-known fashionable item amid every age of people.….